Pesa Pata, Swahili word for ‘get money’, is an innovation by Paddy Micro Investments which has an excellent track record for providing unsecured loans to small business and making a profit at it. It is a scratch card micro credit startup serving ordinary Kenyans through a network of local shops stocked with Pesa Pata scratch cards. It is a micro-finance institution that aims at the low-income bracket people who might not qualify to get loans in banks and those who need quick cash to solve a need. Just like mobile loan apps, loans applied through Pesa Pata are received in the form of M-pesa. Pesa Pata clients must be registered customers of Safaricom. To get loans of around Ksh.5, 000 or below, for one to borrow, they will need to get a Pesa Pata scratch card from a Pesa Pata agent of whatever denomination. There is a registration fee of Ksh.100 to be paid via pay bill number 519606. Pesa Pata clients must register their Safaricom SIM cards by dialing the USSD code *269# and follow the next steps. There is a registration fee of Kshs.100 to be paid via pay bill number 519606. Customer is given a Pesa Pata scratch card of value between $3 and $59 by an agent. The borrower then scratches the card to reveal a PIN. Each card has a unique number that is loaded onto the customer’s mobile phone. The agent then sends a message to ‘222*followed by the PIN to 0707 000 222. The amount is then credited to the customer’s M-pesa account. The agent gets a commission on every sale while the customer repays the loan at an interest rate less than 10% interest rate. A vender, normally a small shop or kiosk owner, gives a client they trust a scratch card worth between Ksh.250 and Ksh.5, 000. The client scratches the card to reveal a secret number that they load onto their mobile phone and are credited a short-term loan on a Safaricom’s M-Pesa account. They must repay the loan principle, plus a five to ten percent interest, in less than thirty days. The kiosk owner derives income from the interest. The Pesa Pata model is completely dependent on the level of trust between the kiosk owners and their customers, which is proving to be very successful. Minimum loan amount is Kshs.2, 000 and maximum loan amount is Kshs.20, 000. Repayment duration is between one week and one month. Loan interest rate is 5 – 10%. Loan disbursement is via M-pesa. Though fast and simple and issued on trust between agent and customer, Pesa Pata quick loans also require collateral before they are issued. The agents pay for the cards too. 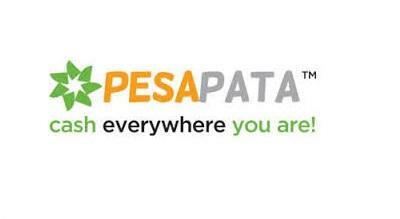 Pesa Pata saves people the pain of queues in banking institutions and act as emergency loans and is suitable for the marginalized or unbanked. Pesa Pata depends on the agent trust to a customer and hence if you don’t know any agent you can’t borrow from this platform. It also requires collateral hence without it you do not have accessibility to the loans. At times, people need quick money but they are not able to go to a bank or micro-finance for a loan and Pesa Pata is filling that gap. For microloans it is quite appropriate since the interest rates are a bit low compared to other options. For larger loans one should inquire about other institutions that can avail such.